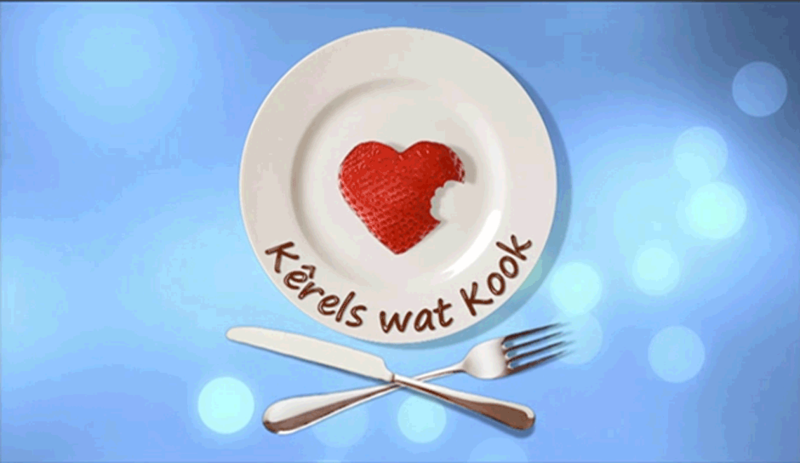 Kêrels wat Kook (Guys who Cook) is an exciting Afrikaans reality series on kykNET based on the Love Bites format that was originally developed by Red Arrow International. The format proved successful in Germany, Austria and Greece and on South African soil. The first season was very popular on kykNET and was subsequently commissioned for a second season. The first season was also nominated for ATKV mediavertjie award in best variety category. Guys throughout the run of the series have to charm the ladies with their culinary skills. Finally each woman has to decide which guy is the cream to their strawberry. The lovely lady gets the chance to see her potential man at work in his own kitchen and scout through his home to see what he is about. To make matters even more exciting, the other contestants are able to witness the date and deliver their opinions on their opponents. Kerels wat Kook is produced by Roberta Durrant with Mia Breet as content director.